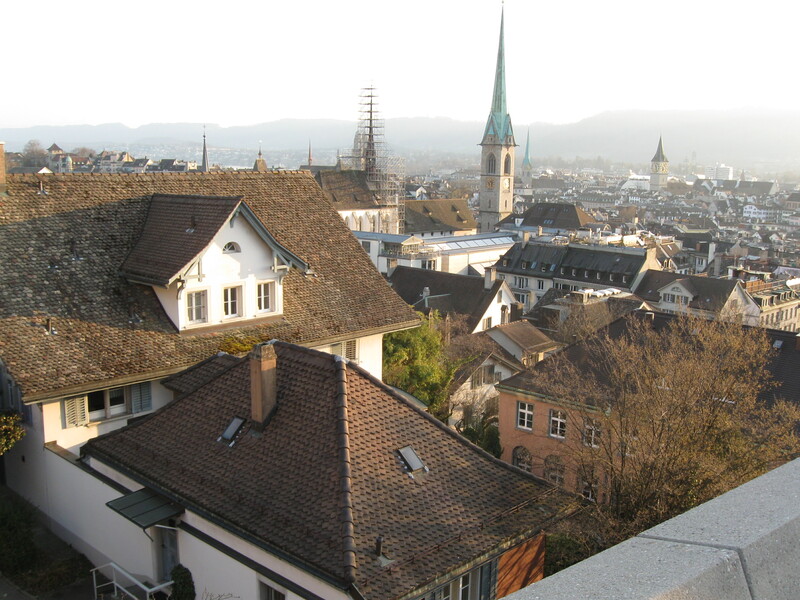 I’ve been living in Zurich for 6 months now. I have to say that I am constantly impressed and awed by the average number of languages people can speak here, in this small (but quadrilingual) country in the centre of Europe. Coming from bilingual Canada, I am embarrassed to say that the few years of French I took in junior high is nothing but a distant memory, and that despite speaking Mandarin at home with my parents, I still can’t tell a story from beginning to end without resorting desperately to a few English words that I just can’t think of in Chinese. (Ironically, these are not difficult words, but rather things like “parking lot” and “cheese”…). In Zurich, I have the amazing opportunity to learn a new language. I’ve always loved learning languages, not so much for the language itself (grammar rules make my brain explode), but rather the potential connection I could make with someone from an entirely different part of the world! But since almost everyone can speak English here, I don’t really “need” German to function in everyday life. Yet, I’ve realized more and more how much language can be a barrier to really integrating into a new culture. (Besides, no way am I passing up the chance to learn a language that has words like “handschuhschneeballwerfer” (lit. ‘hand shoe snow ball thrower’ – or – [a person who throws snowballs with gloves] or more commonly known as – [wimp]. 1. People here speak a dialect called Swiss-German, which is unintelligible enough to (High) German that many Germans I’ve talked to, say that for the first 6 months, they have “no idea what [the Swiss] are saying”. Only after months of highly focused concentration can my German friends begin to understand (though not speak) Swiss-German. Unfortunately, what this means for me is that the meagre set of German words I actually know will be pronounced slightly (to significantly) differently to what I learned in class, thereby lacking the immersive repetition and redundancy that helps so much when one learns a new language. 2. The academic community functions primarily in English. To this, I hold a significant (and completely unfair) advantage. While speaking English at the university is fantastic, in the sense that I can communicate here as I did in Canada without skipping a beat, a drawback is that I often go through a whole day without hearing or speaking a single German word. 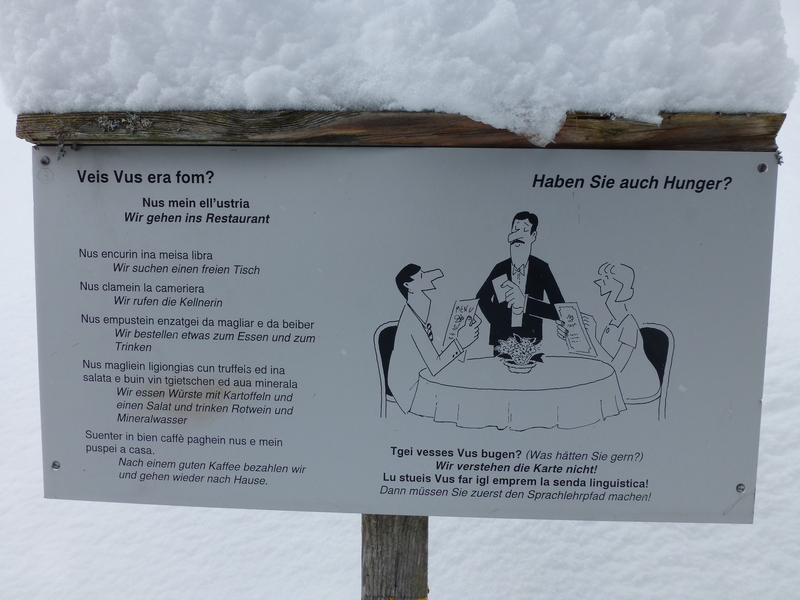 (With the exception of “mit Gemüse oder ohne Gemüse?” (with or without vegetables?) at the cafeteria). 3. This point is fairly obvious, though not something I originally anticipated when moving here. Its all about making good impressions. Basically, if I speak in German to a person I just met, I’m going to look and sound a bit ridiculous. Rather than making eye contact, I will probably look up a lot while I try to visualize grammatical rules and sentence structures in my head. I will often accompany this with hesitant hand gestures and many apologetic faces, inevitably making my whole body language look less confident. Sure, the message gets across, but I kinda feel like I’m playing charades – instead of saying things the way I usually would say them, I grab at awkward combinations of words using my limited vocabulary. In comparison, if I speak in English to someone I just met, communication flows naturally, and my new potential friend cannot help but notice my radiant personality (and dare I say, irresistible charm). 4. Last but not least, despite all good intentions, I am lazy. After a high mental load all day, I do not find listening to German after work particularly relaxing. By the end of the workday, I just want to do or watch something that does not require a high cognitive effort. With only so much energy and hours in the day, I assume this is one of many reasons why expats who work in English-speaking offices can go for years without mastering the local language. “Gekochte Haferflocken!” (lit. cooked oatmeal). (Try saying this out loud – it is indeed delightful). A few steps after my rabbit fence adventure, we saw this. Strangely enough, such grammatically sound phrases haven’t come in all that handy in day-to-day conversations. (Though it has been fun to add an exclamation mark at the end of every sentence…!). As for Dilemmas 3 and 4, lets just say that I’m working on it. It is my hope that, by the end of my PhD, I will be completely fluent in German. Or, at least enough to avoid getting electrocuted at the damn rabbit fence again. 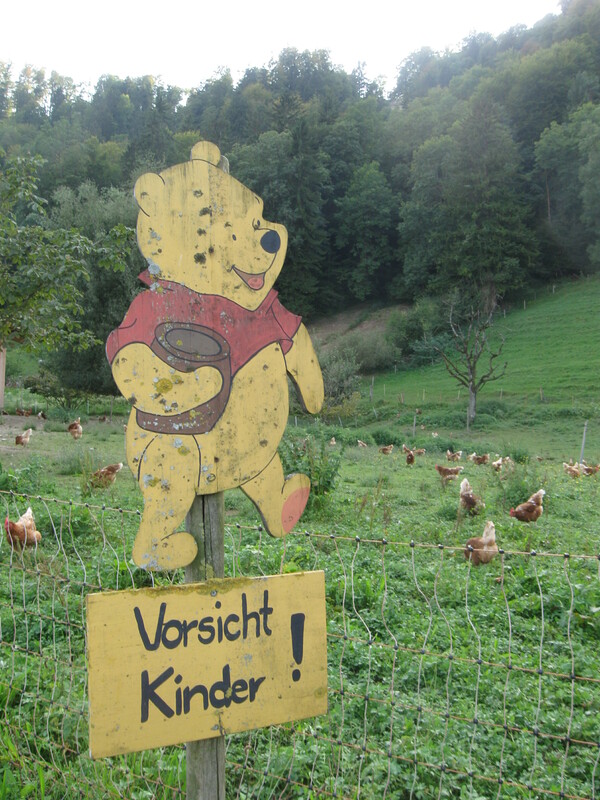 Thanks a lot Winnie the Pooh. website like yours take a lot of work? I am completely new to writing a blog but I do write in my diary every day. I’d like to start a blog so I can share my experience and views online. Please let me know if you have any kind of suggestions or tips for new aspiring bloggers. Thankyou! NextI’m not meditating. I’m sitting.